Now that the Royal Wedding has passed, I find myself obsessed with every aspect of it. 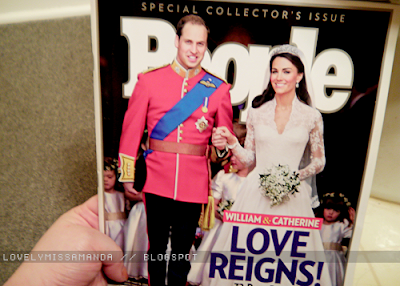 I went to the store on Sunday morning and picked up just about every magazine having to do with the wedding. I bought several Kate-dedicated magazines as well. I've been aware (and a mild fan) of her since 2007 but after last November when I watched hers and William's engagement interview, my obsession for her grew and grew. Now it's just become unhealthy. I just can't help it.